This week I have another great prize up for grabs: a 100ml starter pack of the infamously fabulous Liz Earle Cleanse & Polish Hot Cloth Cleanser which I have reviewed here. Last week's Sleek Week winner was announced here. Nice!!! pleasemlet me win. i follow via GFC, twitter @rushofblo_od and facebook. I' a follower, name: ggirl. Great giveaway, really want to try this!!! I follow on GFC : "Katie"
I have a blog but just incase this my email babblingkatie at live dot co dot uk. I follow you via GFC with the name Roxana D, and on Fb with the name Roxana Roscana. Ooh please enter me! No where near me sells this. Although, I'm kind of worried if I did win that I'd get hooked and then be nothing without it, as many people say they are! i'd love to try this, thank you! oh wow! I would loooove to try this!! Aww I always wanted to try it! I tweeted and my twitter name is also WhimsicalWolf. Ooh, I've wanted to try this for ages. What a lovely blog you have, and a great giveaway! Hi! I'd LOVE to win this I've heard do many beautiful things about it! Wish I could win this!! :) thank you for this giveaway! Hey! This looks like such a cool concept! I'd love to try this out!! Hi! I've seen this product get great reviews on sooo many places that I'd love to try it! another great giveaway :) Enter me please. Love Liz Earle products, her toner smells amazing and I can't usually afford to fron her range, so I am crossing my fingers to win! Hi! I'm a GFC follower! have been wanting to try this! Please enter me into the competition!! Oooh ive been wanting to try this for ages!! ohh i always wanted to try this!!! I follow via gfc as Lauren! I follow via GFC! Please enter me! I'd love to try this I don't think its available where I live. so exciting! following you on gfc as ashley borysewich! Enter me please! Following you on GFC as Kathryn Maggs! I would love to try this, have read a lot of awesome reviews. Oooh would love to try this! I've heard such good things about this cleanser so thank you for this giveaway! Please enter me. I have been using No. 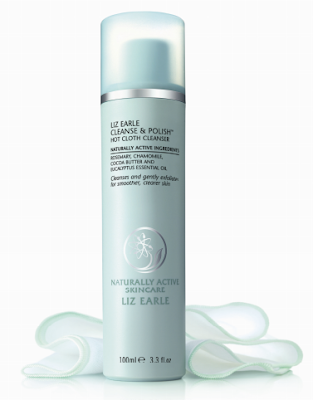 7 Hot Cloth Clenser and really like it but I have been dying to try Liz Earle! I am following via GFC as HeatherJ. I want to try this so bad.. but shipping to Canada was 30 bucks from the Liz Earle Website! Boo! oh lordy i have wanted to try this for 2 years now, heres to hoping! I've been listening to people talk about this face wash for ages, i'd love to try it out! Count me in please, I've heard so many good things about it! my email is ivyhu93 at gmail.com ! !